I'm making this 2d platform game. The player is playing the game with help by rigidbody2d. There is no actual control over the player character. He is moving down the levels with help of colliders and rigidbody2d. So he is bouncing his way downwards. So, I first tried to find a way to make the lifeline to follow the mouse position. But I only found examples for 3D games. And second I though that the upper side of the marked object that have a thin blue line should always face the player so I will be able to rescue my player from different threats. Like big falls and such. Another thing. 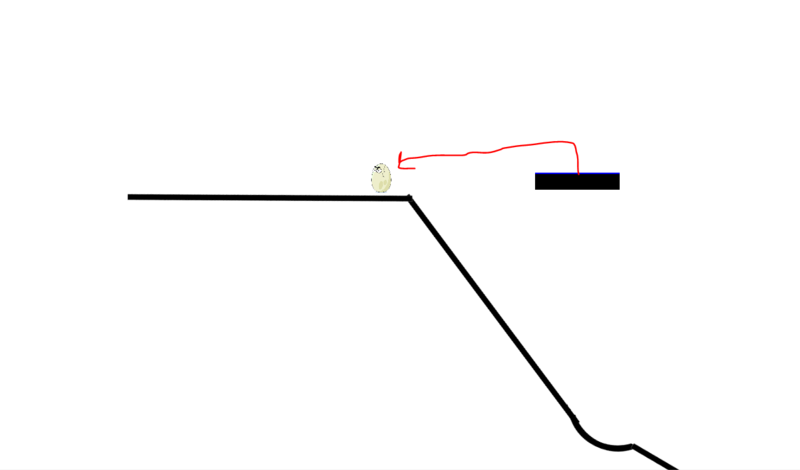 The moveable game object should not collide with game level elements, but should "collide" with the player so I can use it to rescue him with it, but not get stuck in game level elements. Note the above code assumes the 'forward' of your sprite is on the right. As for 'collide', you can use a trigger, or you can calculate a distance from the player, or you can use any of the Physics2D functions like OverlapPoint().